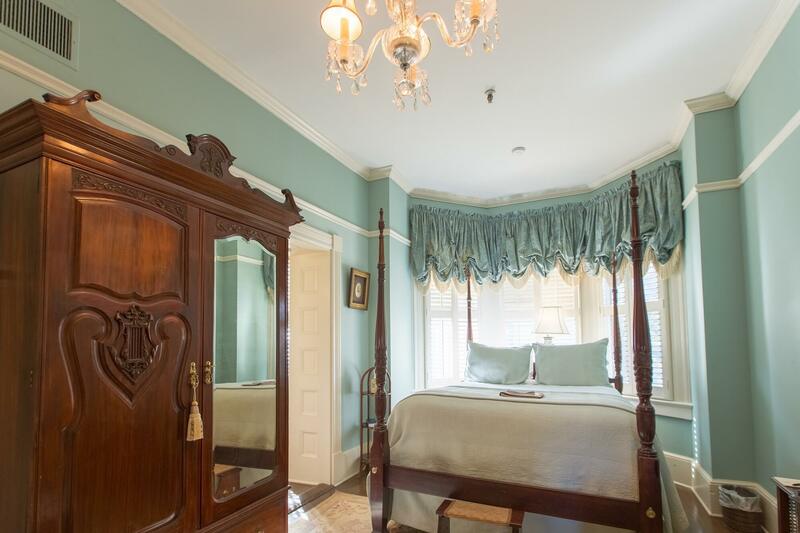 As the name implies, this room at our romantic Savannah getaway contains a queen-size, carved mahogany four-poster rice-carved bed set into a bay window overlooking historic Oglethorpe Avenue. 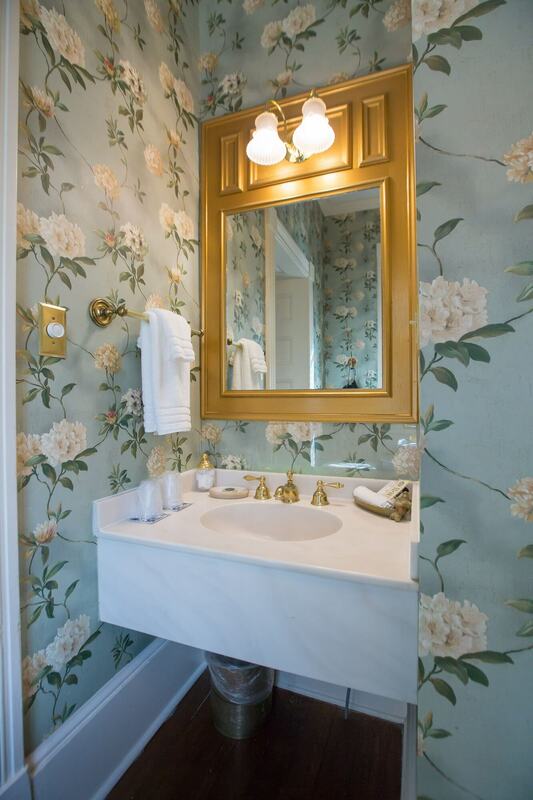 Toile in teal Italian matelasse coverlet and Euro shams adorns the bed, and Scarlett memorabilia surrounds you at our Savannah GA BOUTIQUE INN. Wrap up in your private love seat by the cozy replica coal fireplace with remote crystal chandeliers. 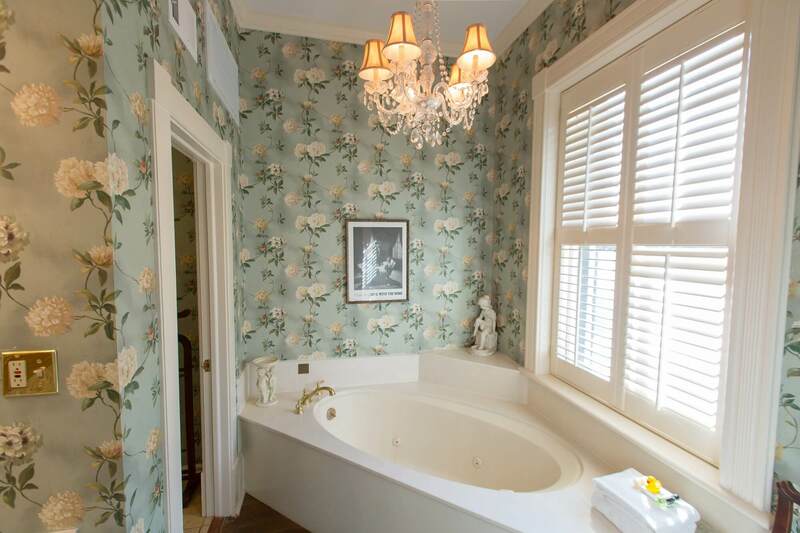 Antique lighting and a Jacuzzi bath truly set the stage for a very romantic evening at our inn. 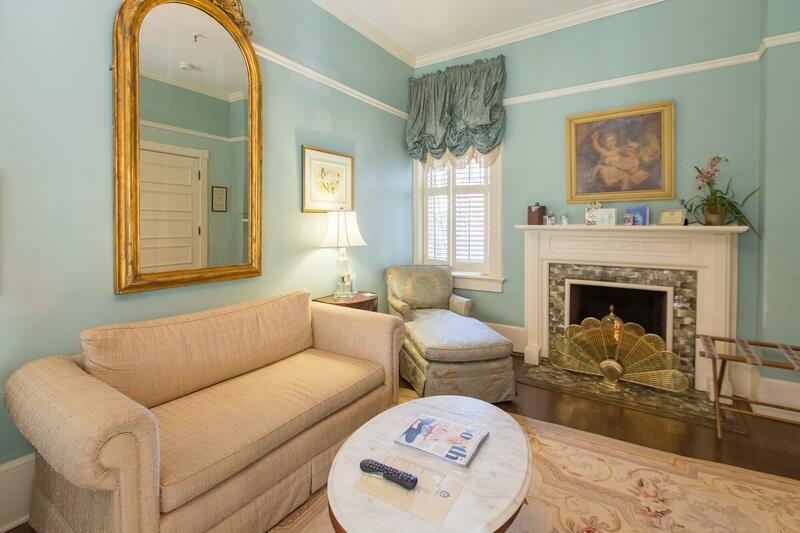 In the late of the day, a chaise provides afternoon delight, along with a new flat-screen TV.